If your vehicle has recently failed its MOT and you have been left wondering ‘what happens next?’, then fear not: you’re not alone. An MOT fail can leave many drivers questioning what the legalities are when it comes to driving on the roads following a failure. It’s important that you have sufficient plans in place in the event of an MOT fail to avoid driving illegally on the roads. My car has failed its MOT – can I still drive it? 1. Any vehicles which fail their MOT are deemed unroadworthy – because of faulty brakes or lights not working, for example – and must not be driven on the roads. stand the risk of being prosecuted. What happens if I drive my vehicle after my MOT has expired? It’s illegal to drive a car without a valid MOT certificate – doing so can lead to a fine of up to £1000 and could invalidate your insurance cover. 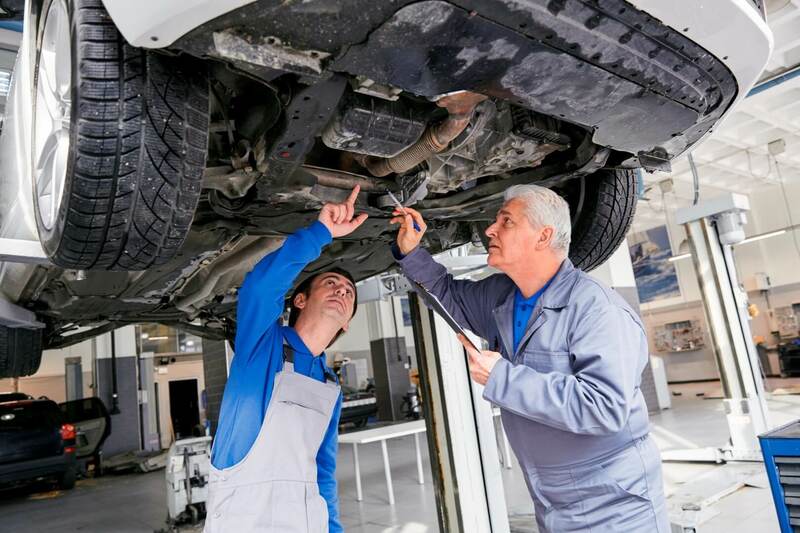 The only time you are allowed to drive your car when its MOT has expired is to the test centre for a pre-arranged MOT test appointment or repair. What do I need to do to have my car retested? If your car has failed its MOT, it will need to be re-tested for MOT certification. An MOT retest or partial MOT retest can be carried out within ten working days. This ensures you have enough time to make any required repairs prior to the retest for a pass. As many as half of MOT failures can be avoided if drivers regularly carry out simple checks on their vehicles. Take a look at our previous article which details the components which are tested during an MOT, and the action you can take prior to the MOT to avoid a fail. Can I appeal an MOT fail? If your vehicle fails its MOT and you believe this to be an incorrect result, you are within your rights to appeal the decision. To do so, you must appeal to the DVSA within 14 days of the original test – they will contact you to discuss your appeal within 5 days and may offer you an appointment to reexamine your vehicle – if they do, there will be a charge for this. Make sure you don’t have any repairs carried out on our car during the appeal process as it must be in the same condition it was tested in – this means that you must remain off the roads during this time. Can I take my vehicle in for its annual MOT earlier than the required date? It’s recommended that you book your car in for its MOT up to a month ahead of its expiry date – check your MOT certificate if you are unsure of when this is. This means that if your car fails its test, you still have time to make the necessary repairs before it runs out so you can keep the same renewal date. If your vehicle needs to be booked in for its annual MOT test, or it has failed its MOT and requires some repairs, don’t hesitate to get in touch with the experts at Mr Tyre today. We provide an honest, transparent MOT testing service which will ensure you stay safe on the roads. Simply contact us today to arrange an appointment or find out more.